Spiritual Pajamas: Spiritual 015 :: Cellar Doors :: Frost / Prism 7"
Spiritual 015 :: Cellar Doors :: Frost / Prism 7"
Spiritual Pajamas is thrilled to announce the new 7" from Cellar Doors! Hailing from San Francisco by way of Southern California, Cellar Doors are blowing up fast within the thriving California psych scene. Leading exponents of what is being called the third wave of psychedelic sound; they have been coaxed out of their thriving underground scene for support slots via invitation from the likes of Black Rebel Motorcycle Club, Roky Erickson, Toy, Allah-Las, Mystic Braves and Alex Maas (Black Angels), among others. Their much anticipated debut album is one of the most hotly tipped in recent times around the Bay Area, dripping with pure power psych melody overlaid onto undulating walls of sound. Powerful, brooding and danceable at the same time, it is at once timeless and cutting edge. 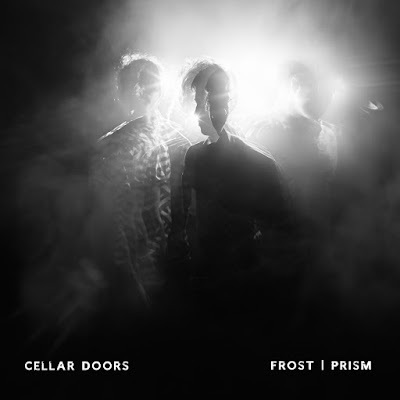 Lead single “Frost” sounds like “helicopter blades cutting through thick black molasses,” tearing out of the speakers as if it were a forgotten classic on the jukebox of some far- away planet, conveying the simple electricity of attraction while staring at one’s own life in a hall of warped mirrors. Released in a limited edition on white vinyl by Spiritual Pajamas the single is accompanied by a video from English director Nathan Seabrook. The 7" single will be released on February 26, 2016.